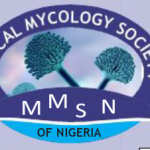 The Medical Mycology Society of Nigeria is an interdisciplinary professional society focused on generating much needed public health data on serious fungal infections in Nigeria and driving advocacy for better care of populations at risk. The society also holds an annual invasive fungal infection forum (IFIF) to promote awareness amongst health care practitioners and train laboratory personnel to diagnose fungal infections. CRYPTOCOCCAL SCREENING AND TREATMENT IN THE SETTING OF HIV INFECTION- PROGRAM FOR HEALTHCARE PROVIDERS IN NIGERIA. Congresses of the International Society for Human and Animal Mycology (ISHAM) hold every three years. 2018 is one of such years and the congress will hold from 30th June to 4th July at Amsterdam RAI, the Netherlands. The pre-congress workshop took off on June 28, and MMSN president, Dr Rita Oladele chaired a session of the Workshop Onygenales. She also presented a paper titled ‘Histoplasmosisin Africa: An emerging or a neglected disease?’. In all, there were 4 sessions and 22 presentations covering trending research on the order Onygenales ( the ascomyceous fungi including dermatophytes and the classic dimorphic fungi causing endemic mycoses), from epidemiology, molecular phylogeny, diagnosis and even new species from India.